Topic: P52 - delayed components? Just curious. Any idea why the P3200 Quadro and 128GB memory have yet to show up on the online configurator? (think they're already available on the Dell 7530). Thanks - might consider grabbing one without the FP reader hole (won't need it really). Though the problem is those palmrests have the plastic holes / though no metal screw hole to secure the the fingerprint reader onto (can't have it loose inside). Thanks for the reply - I imagine the internal is probably closer to T460S than the Kaby Lake T470S - might be a custom UK batch. Shouldn't matter much - had to clean install Win 10, as the upgrade from Win 7 Pro was a bit laggy. Wonderful little machine. 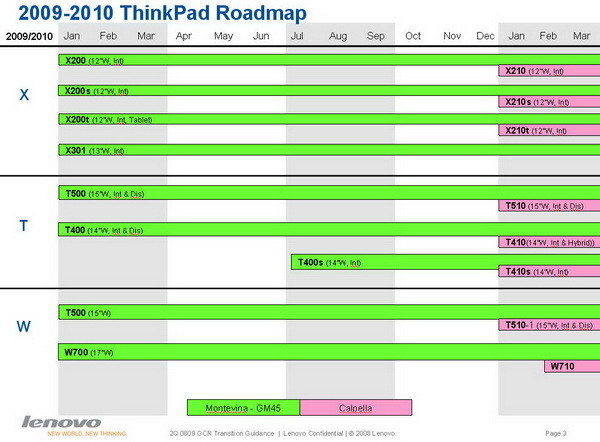 Topic: How to see if T420 has dedicated GPU? Re: How to see if T420 has dedicated GPU? It's a CTO custom built version. Basically - under bios > display - there is only Thinkpad LCD - can't see any NV options. When I try to install the driver via Lenovo site it tells me to restart as the installation starts? Does that mean there might not be dGPU on this laptop? How to see if T420 has dedicated GPU? Bought a T420 the seller said there was 4200M. So far when I try to install NV driver - it says its not recognised. I can only see integrated option in the device manager. Is there a way to see for sure if there the machine has Nv graphics? Topic: Completely Disappointed With My T400...sending it back. Re: Completely Disappointed With My T400...sending it back. I also considered the last gen Macbook 13, fairly a while ago; in the shop, with its screen next to a Macbook Pro, was just incomparable; the Pro looked so much better, and not washed out. Though the other day, had another look at the new MBP 13's screen, and it was actually pretty decent. Topic: QX9300 (Quad 2.53) in W500 ?! Re: QX9300 (Quad 2.53) in W500 ?! That said, the TDP of QX9300 is 45W, which is almost twice of P9x00 used in T500 - it might work, just not really well. So far, its running by far cooler than T43p, generally is just much improved. If OC'ing is your thing, I recommend a Sager 9280. It's a laptop that takes desktop i7 CPU. You can overclock the 3.33ghz i7 975 to 4Ghz via multiplier. The most you see with a T9900 would be 3.5 or 3.6 Ghz, assuming the laptop allows OC'ing. With HT built in, your OS would see 8 threads @ 4 Ghz. Topic: Go for Core 2 Quad Q9000 2GHz or Core 2 Duo T9900 3.06GHz?? Re: Go for Core 2 Quad Q9000 2GHz or Core 2 Duo T9900 3.06GHz?? I'd go with dual core. Q9000 is just too low end imo - where as T9900 would well last until proper quads become mainstream. Thinkpads are business machines, which generally pride itself on stability. Overclocking doesn't exactly help with stability, as result, I highly doubt any Thinkpad would ever include OC'ing function in the bios. Isn't T9900 fast enough? W710 is out in Feb/March next year, actual shipping would cause longer delay... It will be a directly updated model with probable support of forthcoming mobile i7 chip. Topic: What SSD in T400s? Re: What SSD in T400s? Just had a look, and I'm susprised any UK buyer would directly purchase from them... Then again, it's mostly large corporate businesses would buy Thinkpads at their RRP. Might try W7 later on, but I'm sure Vista would run just fine - with tweaks here and there. not really wanting XP again. Em...sorry to hijack the thread. My T400 will hopefully arrive by the end of the week. Just wondering whether 4500 could handle CS 1.6 in OpenGL mode? Topic: T400S SSD full speed? Re: T400S SSD full speed?